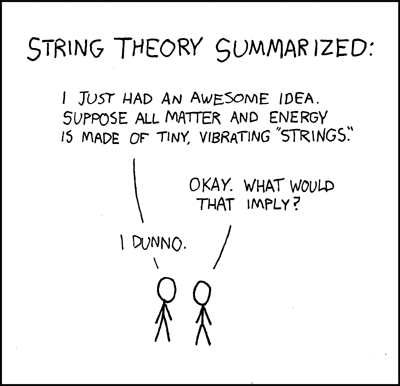 I think that, with the ease of data absorption gifted to us by YouTube, we should all spend at least a little bit of time learning about string theory. Okay, you can believe in it or not, but consider at least that what we think is "impossible" significantly narrows our own personal possibilities. The mind of God is music -- resonating through ten-dimensional hyperspace. Isn't that just a lovely thought to have, marinating in your mind, for awhile?